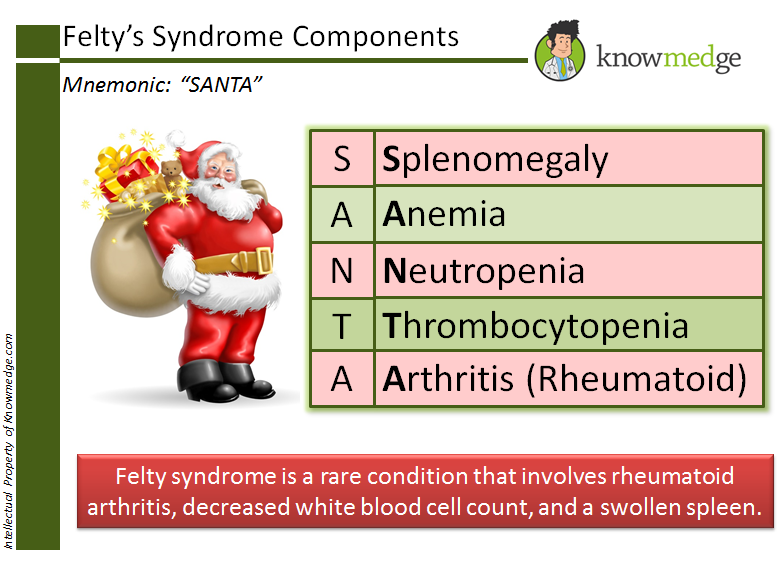 Felty syndrome is a rare condition that involves rheumatoid arthritis, decreased white blood cell count, and a swollen spleen. It can develop into a serious and life-threatening infection. Unfortunately, there is not much known about the condition. The underlying cause is unknown and treatment generally focuses on controlling the underlying RA. Check out the list of the previous Medical Mnemonics here.